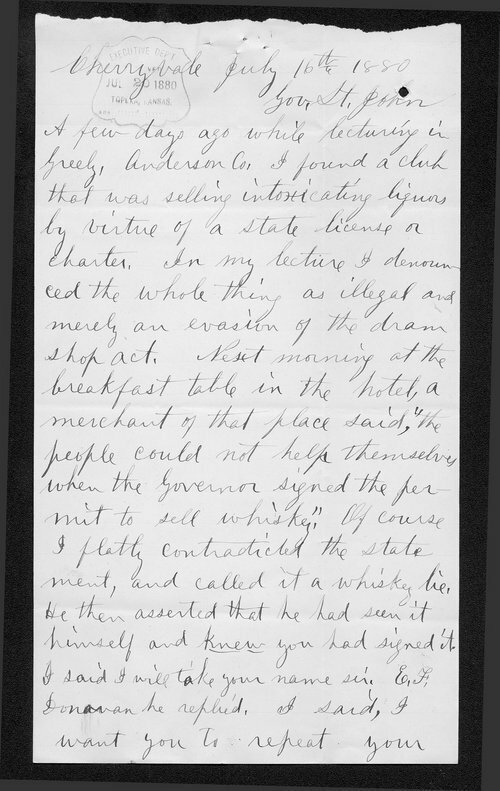 After being confronted by a whiskey merchant who claimed Kansas Governor St. John had signed a permit allowing merchants to sell "anything they pleased", temperance lecturer A.W. Way writes the Governor to determine if this is the truth. In Way's opinion, it is a "whisky lie."